•For any level of impact, Linear Motion Fender System (HLMF) provides equal absorption of energy. This system is completely customised and unique system which varies from project to project. •HLMF system has low reaction forces compared to conventional fender systems which renders lower hull pressures. •HLMFs have non-tilt frontal panels and are positioned vertically. •HLMF system's design enables it to distribute the energy uniformly and has low reaction force and hull pressure. 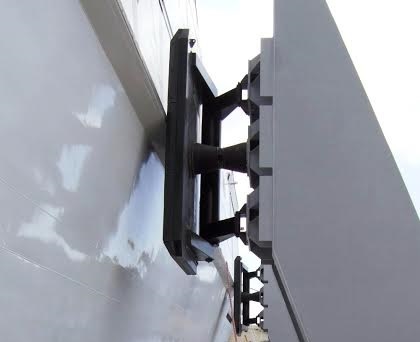 •Even at large berthing angles, there is no performance loss. • Ro-Ro & Fast Ferry Berths.